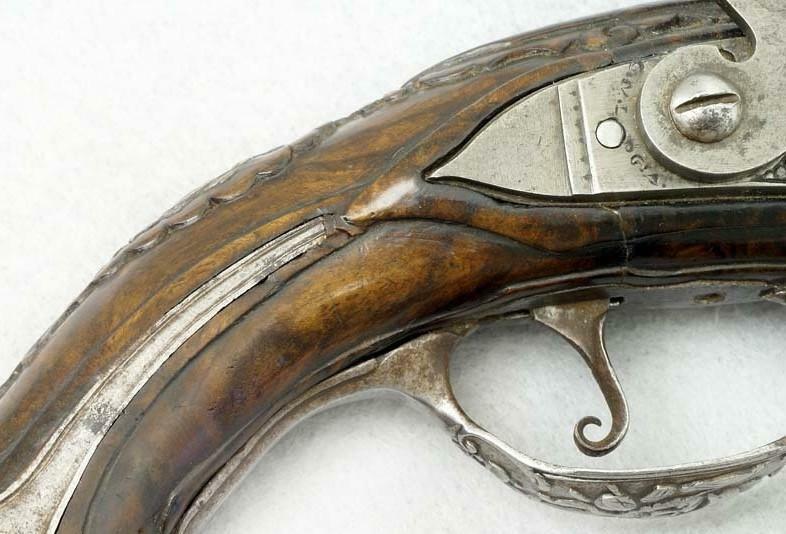 NSN, 50 cal., 6-1/4 inch part octagon bbl., bright finish, walnut stock. 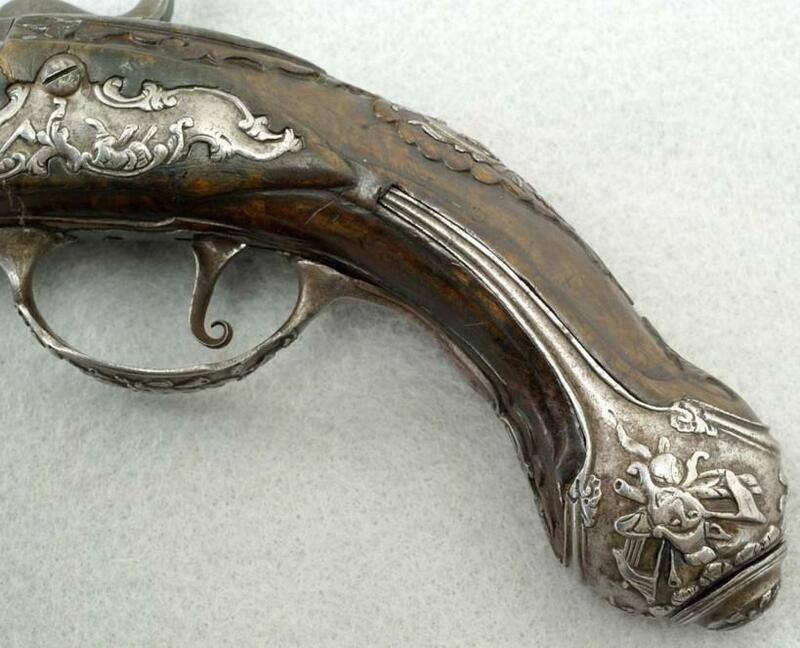 Elaborately decorated Spanish percussion pistol. 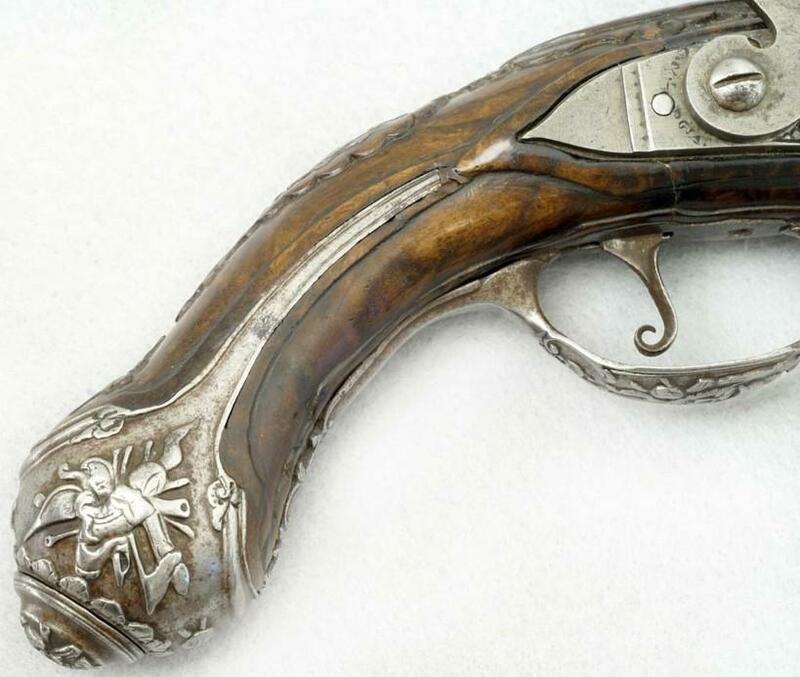 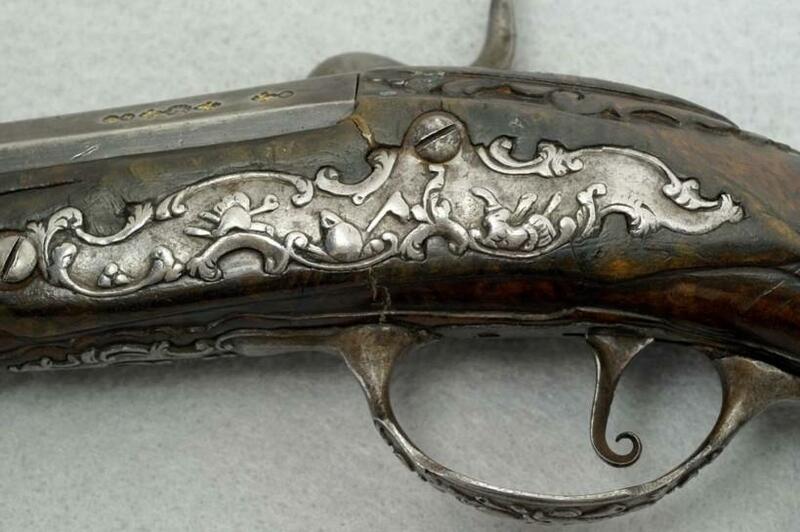 The pistol is a percussion conversion and appears to date from the 18th century. 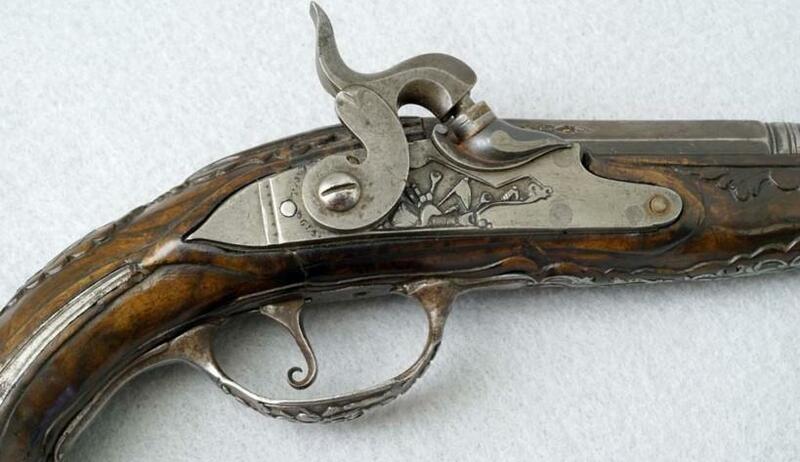 The pistol has a half octagon, smooth bore, 6-1/4 inch .50 caliber barrel. 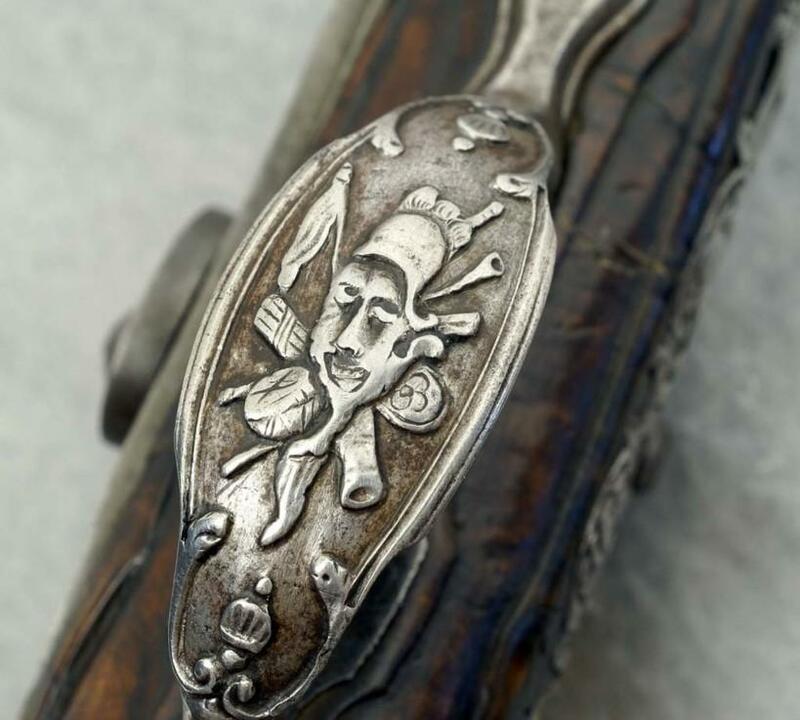 The pin-fastened European walnut stock is decorated with expert relief carving and has an inlaid iron crest on the top of the grip. 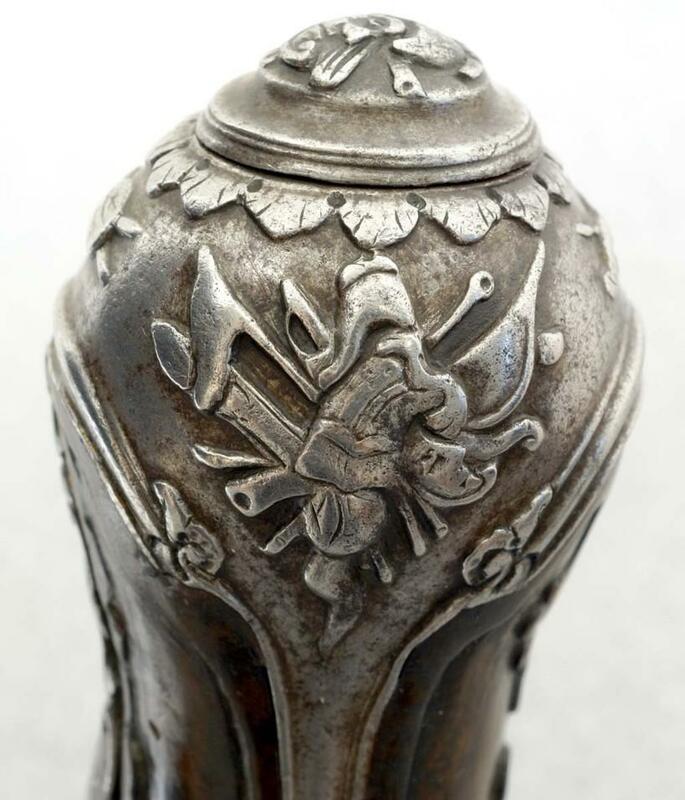 The iron ramrod pipes, the trigger guard and side plate are decorated with cast scroll designs and martial motifs. 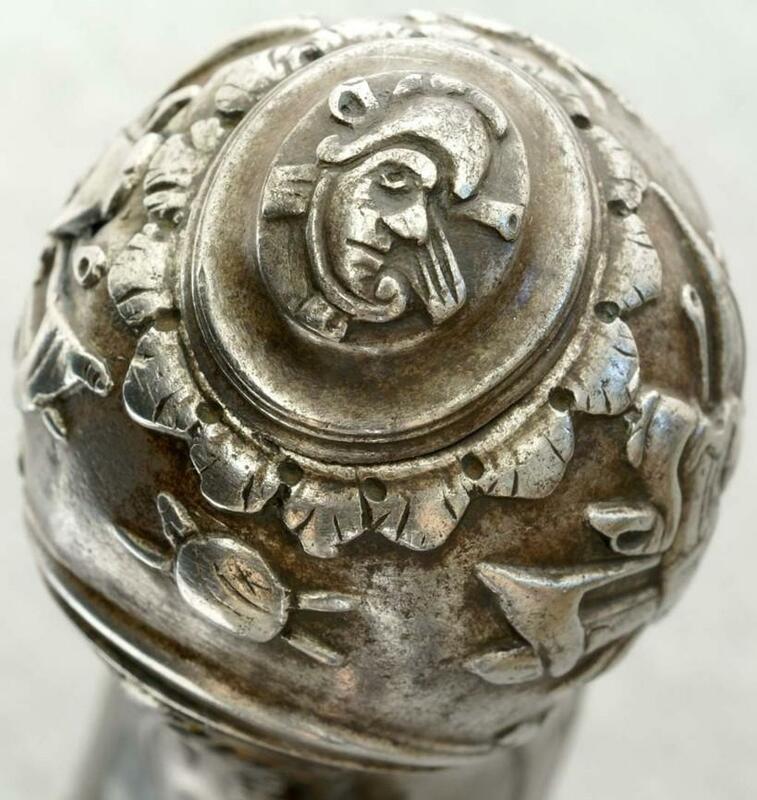 The strapped, iron buttcap has grotesque faces on the bottom and left side, and a stand-of-arms on the right. 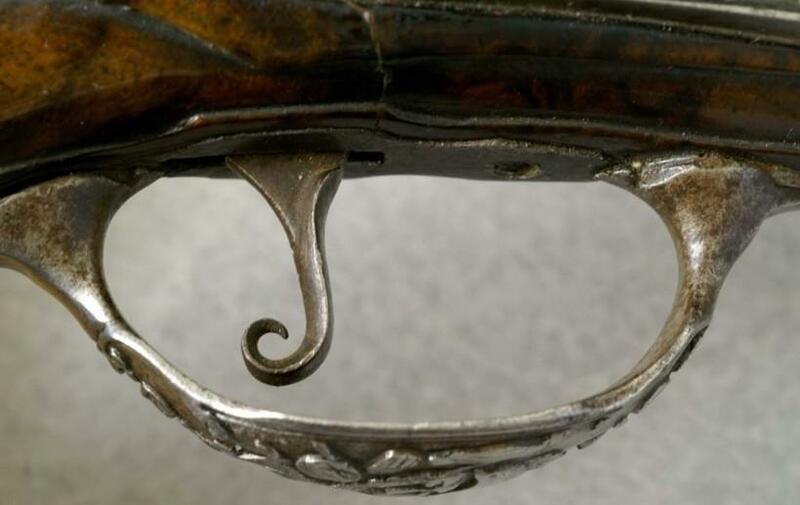 The lock plate also features a stand-of-arms decoration. 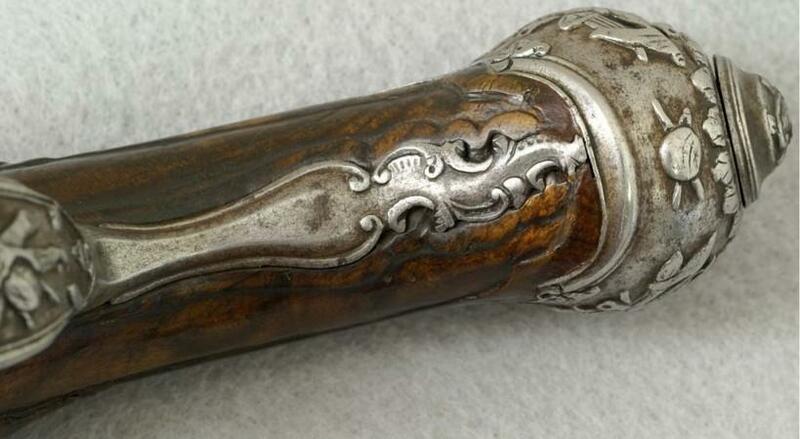 The ramrod is hardwood with an ebony tip. 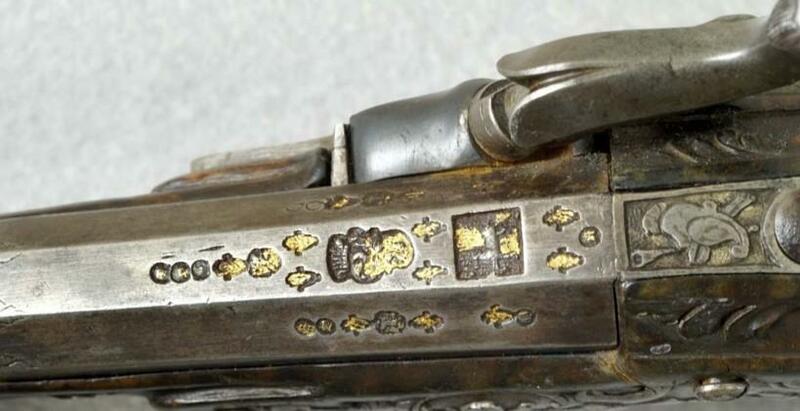 The lower portion of the barrel has numerous small, inlaid proof marks, several of which are gold filled. 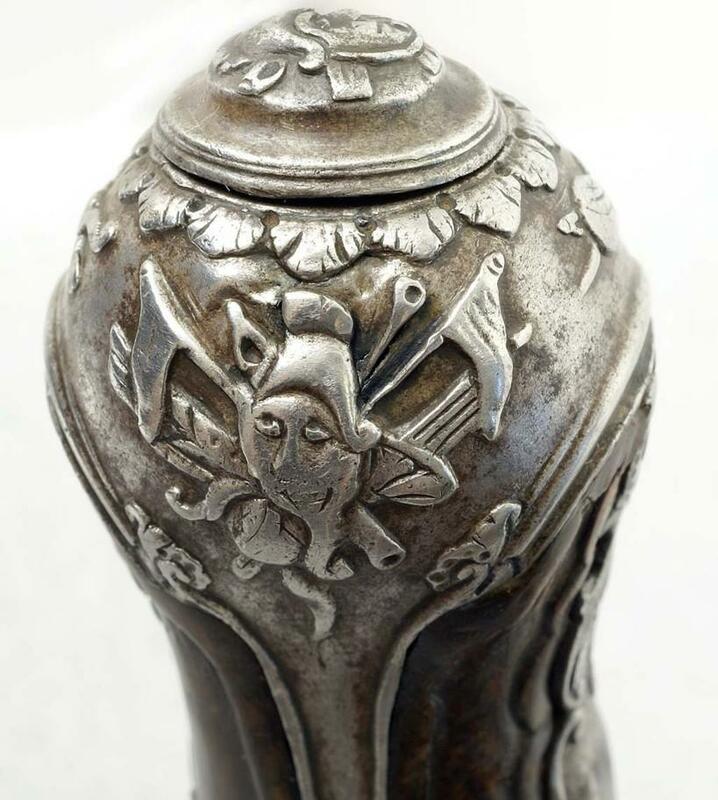 Many thanks to "CWSLAGLEANTIQUES" for the pictures.